I finally had the occasion to sit down with the IDEOS I purchased from b-mobile, and I am impressed. Reviews of this handset, which is the U8150, can be found all over the web, so I am not going to focus so much on the specs. Suffice it to say, it is nothing fancy. The most noticeable downside is the relatively small and low resolution screen (2.8 inches, 240 x 320 pixels). 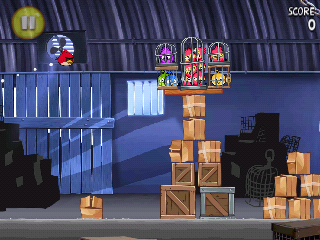 Screenshots below are full pixel dimensions. (The bottom of this post show a comparison to the N1 and Magic). However, for ¥25,000 (no contract or service agreement required) you get a SIM lock free handset that will work on every W-CDMA carrier in the world (as far as I can tell) and creates proper wifi networks (not ad hoc, so you can tether another android device). Here's a list, in no particular order, of what I like about it. The data icon displays, either "3G" or "H"
It's been pointed out that there cheaper versions available overseas, but these won't have the certification mark and are technically not legal for use in Japan. Also, they won't be able to use the IP phone service and I wouldn't be surprised if they have issues with 3G icon and network time/location, like every other Android I've seen. The comments over at my post on B-mobile's Fair SIM have slid over towards IP phones, which is a topic I'd like to address more fully in the future. Over lunch, I did a bit of googling and ran into a new service just started this month, BlueSIP, which offers a 050 phone number. New service is ¥525 to start. Monthly cost is ¥630 per month plus the ¥7.35 universal service fee. Calls are ¥21 per minute to all domestic phones (IP, landline, cellular) and to major countries. There is no discount for calling other BlueSIP numbers. From what I understand from this IT Media article, it is relying on JCI's (B-mobile) VoIP service. 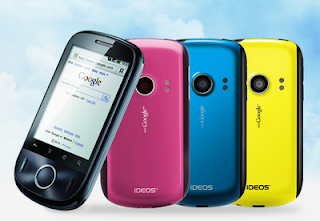 B-mobile does offer IP phone service, but it is so far restricted to the IDEOS. BlueSIP is offering B-mobile U300 SIMs at a 5% discount, so you're looking at a cost of around ¥3500 or so per month for a 300 kbps data connection and an IP phone. This can be used outside of Japan for no extra costs. EDIT: added a new label, "Fair data cap" for all posts about testing the B-mobile Fair SIM. Cell phone service in Japan is expensive. I have spent approximately ¥100,000 for unlimited data over the 17 billing cycles that I've owned an android handset. However I don't need an unlimited plan given my personal usage. Until now though, the only economical way of using mobile data on a smartphone was an unlimited plan, which costs in the area of 5000 to 6000 yen per month depending on contracts, carriers, and discounts. This is because per-packet charges add up quickly, topping ¥100,000 in just one month. I've been testing a prepaid b-mobile Fair SIM over the past few days. This SIM is officially on sale today. (See below for a quick review.) It is a data-only SIM that comes with 1000 MB of data for ¥9800 initially and ¥8350 for each 1000 MB thereafter. While the price per gigabyte is high compared to other countries, it is valid for 4 months, bringing the minimum monthly cost to about ¥2000 per month if you average only 250 MB bandwidth usage per month. 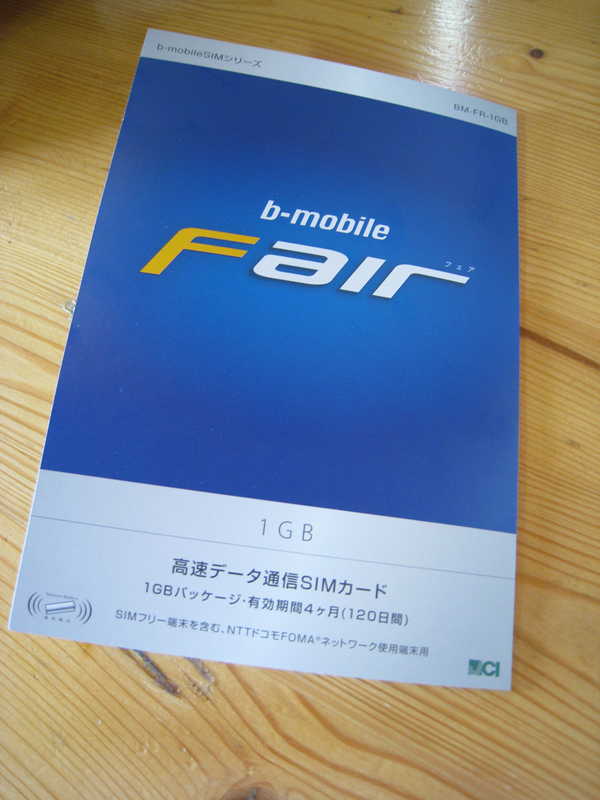 Hypothetically, if I had purchased a b-mobile Fair SIM 17 months ago, and only used 250 MB each month, three additional charges (every four months) would have been required, costing me ¥34,850, which is about one third of the total cost that I actually paid to Docomo from November 2009 to March 2011. I would have just charged the SIM at the beginning of this month, which would have me covered until August 2011. That is nearly two years of data service for ¥43,200. But is this scenario realistic? For me, close but not quite. I primarily use Google maps, train schedule apps like jorudan, an RSS reader, and Gmail. I don't download podcasts over 3G, nor do I watch youtube or use VoIP. I do tether to my notebook but certainly not every day and not for extended sessions. My usage is shown in the graph below. The blue is my monthly usage in gigabytes, and the green is the cumulative usage in megabytes, with points plotted every 4 months or 1000 MB, whichever comes first. For the first eight months, I would have not used the full charge. In fact, over the first four months, I only consumed 551 MB, half of the allotted bandwidth. I used 967 MB over the next four month period. My subsequent data consumption was significantly higher and would have required a charge every two to three months. Over the 17 month period covered in these bills, I would have paid a total of ¥51,550. However, in reality I paid ¥101,745 to Docomo (17 months at ¥5985). As currently available, this would have required carrying around two devices, one for voice and one for data. At this point in time, I have no information regarding what other services with which this data SIM could be bundled. B-Mobile offers both traditional voice (talkingSIM) and a 050 IP phone service (Mobile IP Phone), though the latter is limited to only the IDEOS currently. It would be good to see this "Fair" SIM bundled with either or both of the above voice options. The zero-five-zero IP phone would probably be the least expensive for consumers but would likely be more challenging to properly implement given the five versions of Android currently in the wild, not to mention all the carrier/maker-specific firmware builds. A traditional voice option would be easier to implement and also fix some of those niggles we see on Android, but it would likely come with relatively higher service fees. However it lacks a circuit switch component which causes some issues with Android firmware. First off, HTC handsets running 1.6 are incompatible. Next, the 3G icon does not display. On my ht-03a (HTC Magic) running Android 2.2, not only is no 3G icon displayed, the signal strength indicator has no signal (an "X"). On Android 2.3 and the Nexus One, the signal strength icon works as expected, as can be seen in the above and below screenshots (Gingerbread displays a green signal icons when connected to Google servers). When starting up a new browser session, the native browser throws up an alert saying there is no internet connection when there actually is, and as you can see below, the page is loading just fine. As far as lack of features, I am not sure if this is just an issue with Android, or with HTC, or with the SIM as provided by Docomo, but I cannot use network based location and time information. ADDITIONAL COMMENT: It has been pointed out to me that the fact that R-stream brought in their own handset is not only very significant and costly (certification, etc. ), but something that would have been unheard of a few years ago. Here's to hoping that they can bring down the cost of future products. 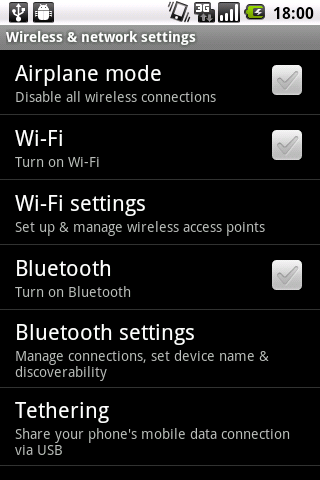 EDIT: added screenshot from B-mobile IDEOS for comparison of tethering options. Also displayed images at original pixel dimensions. The other day I introduced RStream, an MVNO offering unlimited data and voice (through a "050" IP phone) using Docomo's FOMA network and an Android handset, the Muchtel A1, aka the "RStreamA1." Now that I have more information, the price of monthly service is compelling, with the cost of voice calls being significantly cheaper than B-Mobile's IP phone service, but the entire package is not. At least not in its current form. My reasons for this are listed below, but it boils down to 1) high handset price, 2) lack of clear information, and 3) No built-in tethering support that results in 4) tethering for windows clients only. Here's to hoping these can be resolved for the sake of consumers in Japan. First, the fact that data speed is indeed a symmetrical 300 kbps (Thanks Sam) is not included on their website. At least I couldn't find it. I looked but ended up clicking in circles while searching for basic information. I much prefer the clear style of B-Mobile's website, but of course this could simply be personal opinion because I much prefer an interface like this as opposed to something like this. I also prefer the fact that B-Mobile advertises loud and clear that their U300 SIM is limited to 300 kbps. Next, like B-Mobile, the "zero-five-zero" IP phone requires the use of the RStream's exclusive low-end handset. However the price of the handset is **RIDICULOUSLY** expensive: ¥54,800 with a one year contract for the yearly plan (年間特別プラン), ¥64,800 with no yearly contract but signing up for the standard plan (通常プラン), or ¥79,800 for just the handset! It is running Android 2.1 Eclair (with no guaranteed update), meaning no wifi tethering, and is equipped with an aging ARM v6 processor that will might struggle with skype and but probably not as much with angry birds and is incompatible with the Flash binaries released by Adobe. On top of this, while the handset is unlocked, no definitive information is available about what frequency bands are supported. Compare this to the cost of an unlocked Huawei IDEOS that supports enough frequencies to work will all W-CDMA carriers globally (as far as I can tell) and ships with Android 2.2 Froyo with built-in wifi hotspot support. It is available from B-Mobile for about ¥25,000 with no contract and no service plan, or from EMobile for about ¥20,000 with no contract but requiring signing up for a service plan (that can be immediately cancelled). The RStreamA1 does indeed trump the IDEOS spec-wise with a more advanced chipset and larger, higher resolution screen. But nearly eight man for an ARM v6? Maybe for a v7 "snapdragon," when they first hit the market, over a year ago. Certainly not for a v6 chipset and certainly not now. The MIC enacted guidelines in 2007 for carriers to clearly separate handset and service costs. I don't know how MVNOs are considered because I am unfamiliar with MVNO guidelines. Assuming that each MVNO incurs identical costs to Docomo, the differences I'm seeing in pricing are interesting. I spoke with an RStream rep at Yodobashi Akiba, but he was unable to answer the question regarding supported frequencies, though he did indicate that it probably does not support the 800 MHz FOMA Plus Area. This is consistent with the product page [Chinese] that indicates WCDMA/HSPA: 850/1900/2100 MHz. However, handsets for different markets ship with different radios, so lacking specific information in Japanese for the Japanese market, I am obliged to guess conservatively and assume that it only supports UTMS 2100. Worst case is no support at all in the US. Best case is support for AT&T but not T-Mobile (or if regulators approve, half-@$$ed support for T&A - sorry, couldn't resist). The rep was also only able to say that updating was under consideration, which brings up another issue: the lack not only of wifi tethering but also of built-in USB tethering, which has been included in cyanogen mod since version 4.2.3 based on Android 1.6 Donut (changelog). The rep actually didn't realize the missing support for USB tethering until I showed him Froyo on my ht-03a and Gingerbread on the N1. He consulted the books and discovered that enabling tethering via USB requires software to be installed on the client PC and the software is Windows only. For me, if none of the above was a deal-breaker, this last bit is. All images below are at unaltered pixel resolutions. 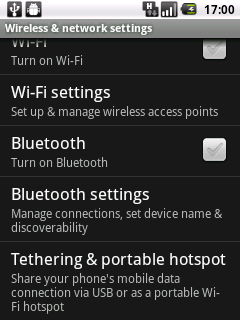 Tethering options in stock Gingerbread on Nexus One. And in US T-Mobile's Froyo release. Yesterday I just picked up a WIFI Xoom from AU for 65,100円 I was planning on just using my house WIFI and my phones data connection but started to run into problems right away. Interesting note for those of you who are thinking about buying WIFI only tablets and tethering. 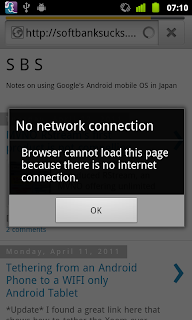 Android is not able to connect to ADHOC wireless networks for some reason. The pocket WIFI devices use infrastructure mode so it is not a problem. The WIFI analyzer apps can see the adhoc networks but the built in WIFI application will not show them. One wonders if this is not by design ... don't be evil Google remember? On most phones when you are tethering it the connection is a adhoc connection since most phones do not support the wireless card to be in "Master Mode" (Same for most laptop wireless cards too). On my Xoom I could not even see the wireless tether connection from my phone. After spending a long time trying to figure out how to share my laptop wired connection over wireless to my Xoom I found I was doomed from the start since my wireless card does not support "Master Mode"
What I ultimately ended up doing is just using bluetooth to tether my Xoom to my phone. It actually works pretty nicely I wonder if it will be any better or worse on my phones already feeble battery life. In honeycomb once I paired my phone with the Xoom with "Wireless Tether for Root" with the Bluetooth tethering options enabled it gave me the option to tether right from the Bluetooth menu. I didn't try doing the PAN from my laptop since I don't have Bluetooth on it. 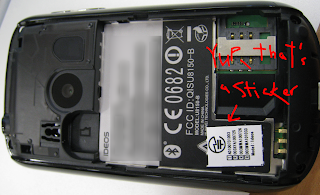 Never change the APN of a Docomo branded FOMA phone because it will cost you money - I have the bills to prove it. mopera.net 440 10 Tethering, unbranded, unlocked smartphones (iPhone) Costs ¥8,190/month (reduced cost) with no IMEI restrictions. No additional costs with Xi SIMs. mopera.flat.foma.ne.jp 440 10 Data only tablets, routers, etc. Costs less than 6000 yen/month. mpr.ex-pkt.net 440 10 128 kbps limited APN Why would anyone pay for this? mopera.net 440 10 Xi APN No IMEI restrictions; Use with unlocked phones; has some ports commonly associated with malware closed. This list is very incomplete. Reference your MVNO details for the correct APN. I found on Nikkei Trendy a comparison of prices and speeds for iPhones on Docomo and Softbank. This will also apply to Android handsets. The results can be summed up in one word: "twice." In Tokyo, downlink speeds were typically twice as fast with Docomo, but the cost of service is twice as expensive. However, in the Shonan area, along the Tokaido Line, the difference was much less. For most people, it will be difficult to justify the price of service with Docomo. It could make sense for people suffering network congestion issues in urban areas or no service in rural ares, since both the iPhone 4 and 3GS are compatible with the 800 MHz FOMA Plus Area. For everyone in between, there doesn't seem to be any compelling reason to switch, especially since you'll lose some functionality like visual voicemail, MMS, and carrier mail, as well as potentially experience less accurate cell tower location information. First, a comparison of costs and features. The article did not properly compare uplink speeds because they compared a 3GS to an iPhone 4. The former lacks HSUPA and is limited to 384 kbps, while the latter if used on Docomo would have a theoretical maximum uplink of 5.7 Mbps (in Tokyo and other limited areas) [NOTE: 5.7 Mbps uploads are currently suspended in Kanto-Tohoku]. It seems the reason for this was the relatively lower cost of an iPhone 3GS. ** Difference in uplink speed is due to different hardware used in the test. 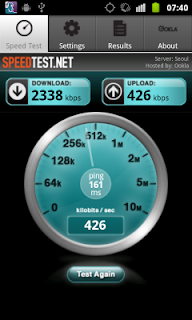 Docomo max uplink is 5.7 Mbps. The article also used the speedtest.net app to compare speeds in several areas around Tokyo and found in general better penetration underground and differences in crowded areas or on moving trains, especially during peak times. 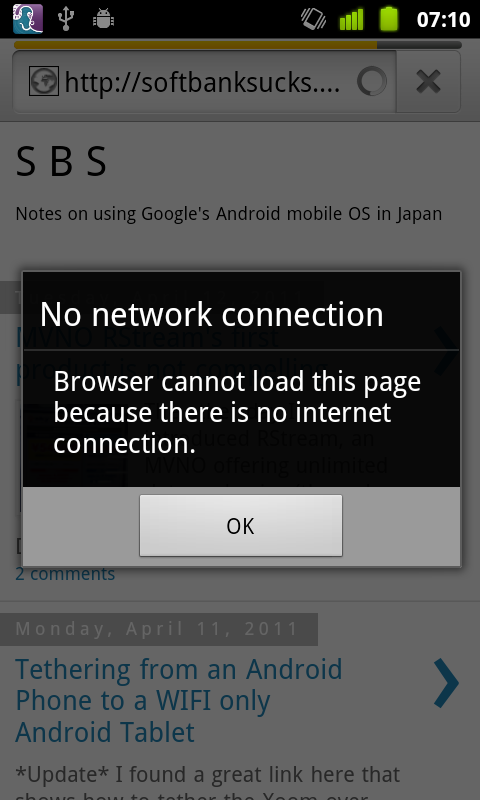 (Softbank is well known to have bandwidth issues during peak hours). It should be noted that, even though there were large gaps in performance, these were often not perceptible. Indeed, there will be no difference when receiving a text email with an uplink of ~ 300 Kbps versus ~ 750. Uploading a 5 megapixel image from Shibuya crossing at 1 pm would be frustrating, though. Bandwidth in Kbps. Speed is the average of 5 successful tests using the speedtest.net app. Outside of Tokyo is a different story altogether. There were very little differences, and at times Softbank was faster. Below are the results of testing on the platforms of different Tokaido Line stations. Each test was performed only once. Just when everyone got all excited about unlocked phones and ala carte SIM cards, only to be let down when Docomo decided to charge an absolutely absurd amount of money for data plans, here come some options from two MVNOs, RStream and B-Mobile. The irony of both these services is that they are using none other than Docomo's FOMA network. It really does seem like Docomo rammed through SIM unlocking to get at the iPhone, but now that they got what they wanted, they have absolutely no clue what to do with it. Here's a hint if Yamada-san is reading: offer a pay-as-you-go data plan - several GB for several thousand yen a month. The lack of the non-tethering list, for phones that are eligible for the reasonable flat rate, is evidence that there really is no such thing as an unlocked handset that can't tether. I could have told them that months ago. Hopefully they're taking notes from B-Mobile, who announced a plan today would have me spending about 2000 yen on data each month. If not, as I was just discussing, we really do need dual SIM handsets; one SIM for the family voice plan and one for a data plan through an MVNO. These plans will be sold exclusively through Yodobashi Camera's stores in Akihabara, Shinjuku, Yokohama, and Osaka Umeda. 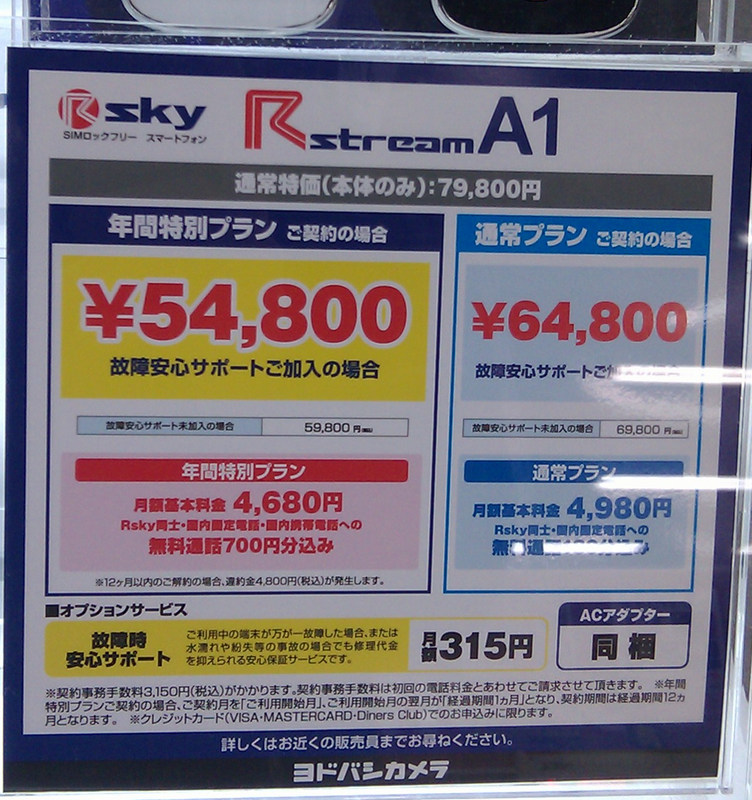 I'm still fuzzy on the details, but RStream will be selling a physical android handset called the "RstreamA", as well as a data plan called "R-sky". Instead of cellular voice service, all calls will be through VOIP using RStream's IP phone service called "R-Phone". Confused yet? The handset will have a 050 VOIP number, which means that it could be more expensive to call than a standard prefix like Tokyo's 03. Last I checked many overseas carriers bill 050 numbers at the same rate that bill 090 or 080 cell phones. ** limited to other R-Phone numbers and domestic land lines. After 180 minutes, ¥16/120 seconds. Cell phones ¥14/40 seconds. (These are advertised as ¥8 and ¥18, but it seems like you'll be billed in ¥16 and ¥12 chunks.) Calls placed over wifi will be charged the above rates. According to the FAQ, unlocked handsets can be brought and used but performance is not guaranteed. (Q: 他社の端末を持ち込んでの回線契約は可能ですか？A: 可能ではありますが、持ち込まれた端末の動作保証は致しかねます。) I have no idea how this VOIP software would be integrated in this case. 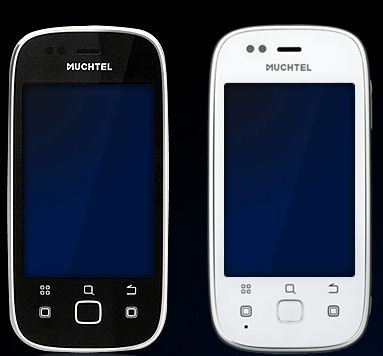 Muchtel A1 designed by Foxconn. In addition, there is this. The first half of this article I pulled directly from the Nikkei. Not a full translation but the main points: Yodobashi Camera will offer data plans for mobile phones at its Akihabara, Shinjuku, Yokohama, and Osaka Umeda stores from the 8th. The flat rate plan will be unlimited and at ¥4995, half the price of what is being offered currently by NTT Docomo. I found what appears to be the rest on 2channel. 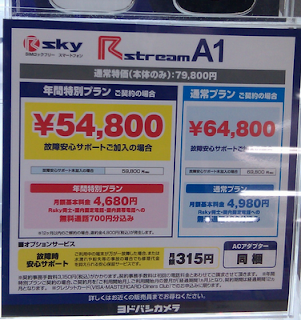 Communications venture rstream (Osaka) is providing the service, which will be sold by Yodobashi. rstream is an MNVO using Docomo's network. Honestly, I really couldn't decipher what ＮＴＴドコモの回線を通じて他の通信会社を使えるようにする専用のＳＩＭカード is supposed to mean. Either it is stating the obvious, that you can communicate with people on other carriers, or it is saying something that really doesn't make any technical sense to me - a special SIM that allows the use of another carrier through Docomo's FOMA network. NEXT, B-Mobile is offering an unthrottled, pay as you go data service from 4/15. 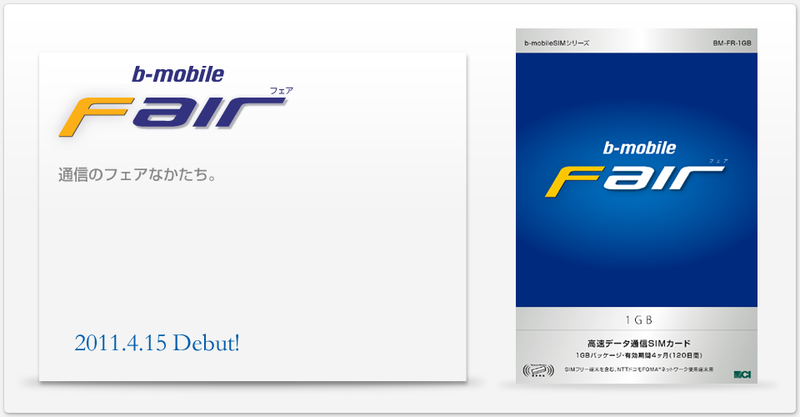 B-Mobile Fair (as in a fair price) is a pay as you go service that offers unrestricted access to NTT Docomo's 3G network with a best effort 7.2 Mbps/5.4 Mbps down/uplink. Price is ¥9800 for 1 GB that can be used over 4 months. 8,350 per GB additional. I haven't updated this lately, but this is how much data I typically use, without using wifi. With light tethering, I average about one third of a GB each month. I rarely use wifi in the interest of saving my battery, but if I did use wifi more often, I could easily go 4 months and not use 1 GB of data. 9800/4 = ¥2,450 per month for the first 4 months, with the price dropping to about ¥2000 per month with subsequent charges. When I first saw this come across Juggly's site, my first reaction was that 9800 yen is ridiculous for 1 GB because I failed to notice that this can be used over 4 months. Charging the data plan can be done with the bCharge application to be installed from the Android Market. Unfortunately, there is yet no word on a TalkingSIM plan that includes this. Docomo will publish on it's website at a later date which phones it determines are capable of tethering. It doesn't matter whether a user actually tethers. All other handsets will be prevented from accessing the mpr2.bizho.net APN and be automatically assessed a tethering fee (because they will use the mopera.net APN). As of 4/1/2011, there are no approved handsets, so all handsets will be charged 10,395 yen at the moment. Docomo is now allowing unlocked phones to be brought and used with their unlimited data plans. However, it would appear that procedural information has not been circulated to the people working at the call centers or at the shops. Basically, they know that Docomo is now allowing unlocked phones to be brought it and SIM cards to be purchased ala carte, but they don't have any idea of what they should do to make it work. I tried to get an android handset working with the capped data plan yesterday, which requires connecting the phone to a specific access point (mpr2.bizho.net). This access point has been, as presumably still is, filtered by the phone's IMEI number such that only phones bought from Docomo can connect to it. 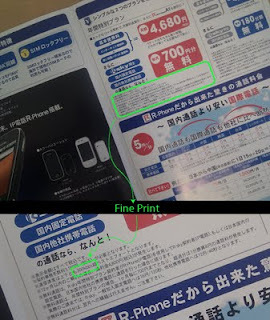 This is common knowledge among readers of this blog, but is not advertised by Docomo. Many shop staff don't know this. Last night, I spent an hour at a shop as a staff tried and failed to get the phone to connect to the mpr2 APN. I tried telling them it wasn't going to work, but that information fell on deaf ears. Finally, the staff connected the phone to the pay-as-you-go APN (0120.mopera.ne.jp). I also tried to tell them that was going to cost me money, which it has, according to my online statement. I spent another hour on the phone this morning with basically the same result. Since it is not their phone, they say that they don't know how to connect it. 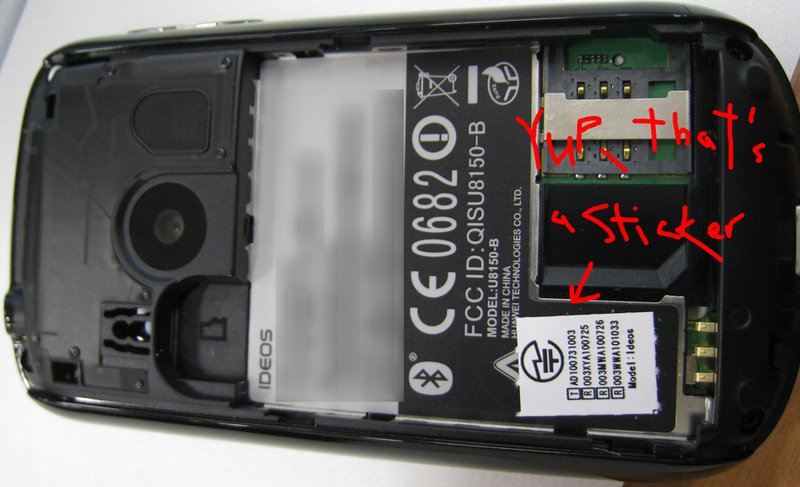 The problem is obvious, though: the IMEI number must be registered. Until someone at Docomo figures this out, there is no need to try and connect. On top of this, they can't seem to figure out how much it will cost. The original press release indicated that any unlocked handset would be eligible for the capped data rate, which is less than 6000 yen per month, unless it was capable of tethering, then it would be charged around 10,000 yen per month. But what I've encountered so far wouldn't even result in the price being capped at 10,395 yen because the staff tried to set the wrong APN. I know from an expensive experience that correct APN in this case would be mopera.net, not the 0120 APN. Neither the shop's staff last night, or the smartphone call center this morning, could tell me how much I would be charged. I understand that Docomo has more important things to be concentrating on right now, so don't even bother trying to get a handset working with Docomo's capped data plans for the time being.